GARFIELD COUNTY – A St. George man and his 14-year-old son were transported to two different hospitals Sunday following a helicopter crash near Escalante. The man is hospitalized at Dixie Regional Medical Center in St. George, awaiting morning surgery for a fractured L-2 vertebrae suffered during the crash. A friend of the man, Terrason Spinks, was with him in the hospital Sunday evening before he was sedated. The man’s son was taken to Garfield Memorial Hospital in Panguitch, treated for minor cuts and bruises and released, Spinks said. He is back with his family in St. George. 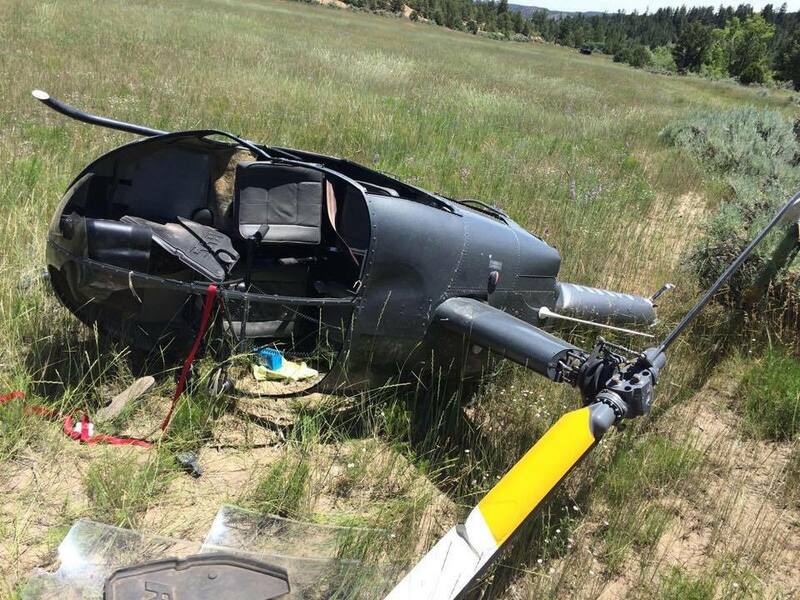 The man, whose name is being withheld pending family notifications, said he was flying a Robinson Helicopter R22 with his son when he got caught in a downdraft, Spinks said, that overpowered the aircraft and took it down. The R22 is the same type of aircraft involved in an April 2014 crash on the west side of Desolation Canyon in Emery County that killed Washington City resident Robin Venuti and Beaver resident Albert Munoz Rubio. As this story is published, Garfield County officials have not released any comments on the incident. Spinks is named as a defendant in the FTC lawsuit along with Jeremy Johnson. Whoever was flying this aircraft was likely paying the $300/hourly cost with money stolen by Internet scamming and hidden from FTC.